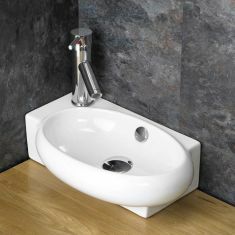 Cloakroom basins are an excellent option to create space in small bathrooms and cloakrooms. 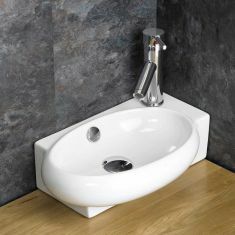 At Click Basin, we understand that space is at a premium in these areas, so our space saving basins are designed to suit these rooms. 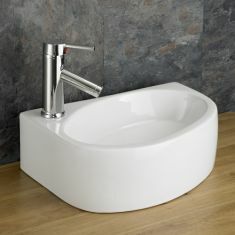 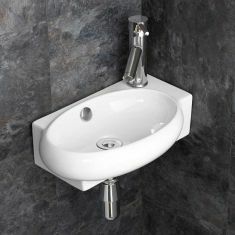 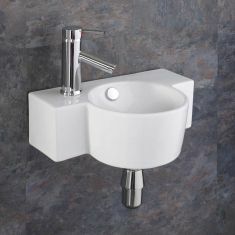 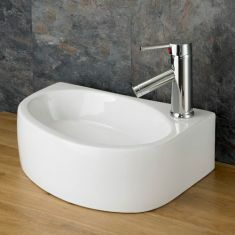 We supply high-quality, space saving basins that look great in both the smallest and large bathrooms. 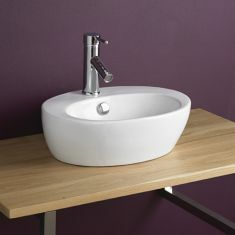 Whether you’d like a wall-hung, free standing or above counter wash basin, we offer the shape and style to match exactly for what you’re searching for. 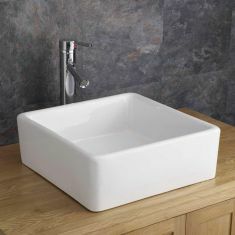 Our narrow basin sets are ideal for the tightest of spaces, many complete with a towel cut out to make even better use of what space you have. 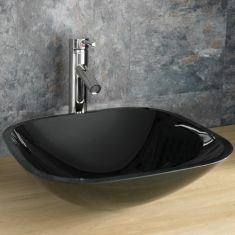 At Click Basin, we always want to meet your preferences and offer you the products you are looking for. 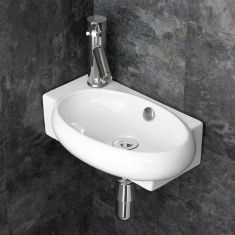 Our range of cloakroom basins includes both left and right handed versions to ensure the wash basin is easy to use within a compact area. 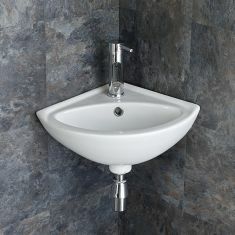 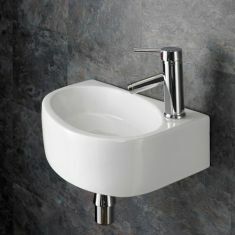 We sell all of our cloakroom basins individually or as an ‘all in one’ package at a reduced price. 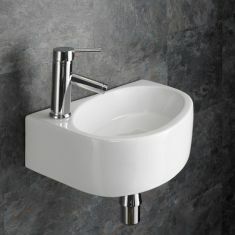 This complete package involves a premier space saving basin, Mono Mixer Tap and a suitable Push Click Waste Set. 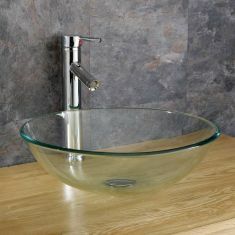 When you purchase a bathroom basin with Click Basin, as a thank you, we offer FREE standard delivery! 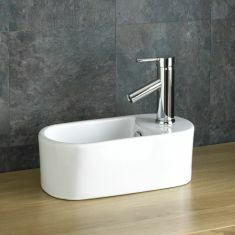 Even though we are confident you will love your purchase, for further piece of mind, we offer a no quibble 30 day money back guarantee. 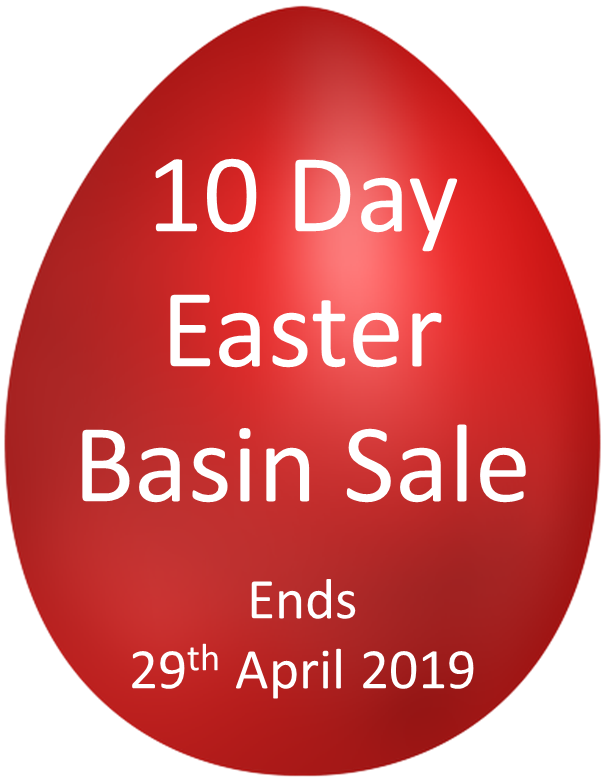 Take advantage of our great deals and get in touch with our friendly team if you have any questions.